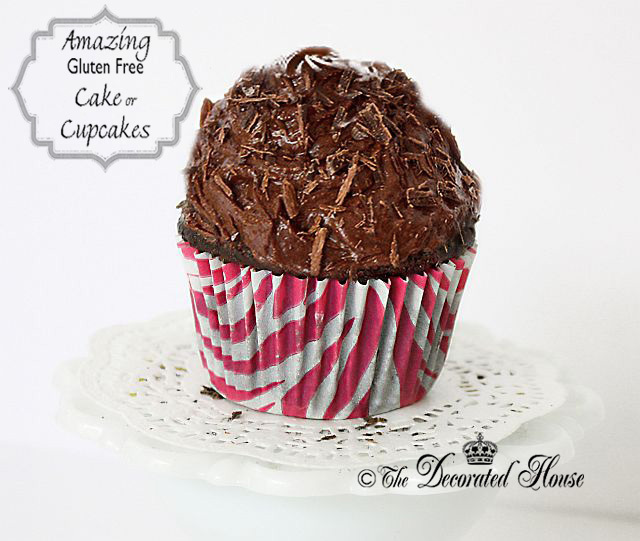 The Decorated House: ~ The Best (Cooked) Quinoa Gluten Free Chocolate Cake - Cupcake Recipe - Amazing! 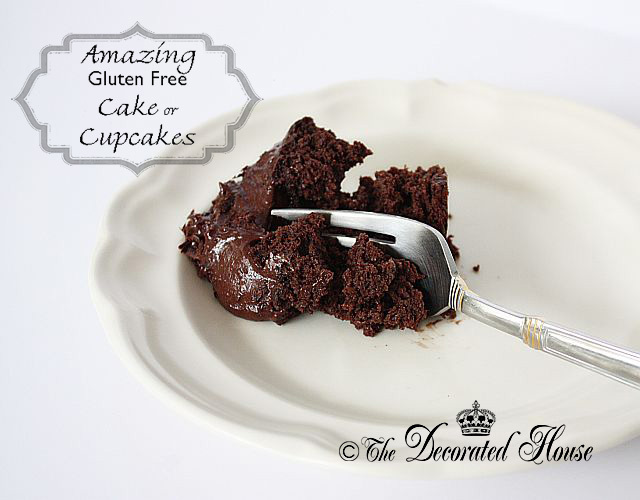 ~ The Best (Cooked) Quinoa Gluten Free Chocolate Cake - Cupcake Recipe - Amazing! Really? Quinoa Gluten Free Chocolate Cake? You're thinking it sounds strange. Me too! After using Quinoa flour a few times, I really didn't like the flavor of it in baked goods. So this recipe calling for Cooked Quinoa sounded so strange that I'm surprised I tried it. Quinoa Pasta is the only kind of pasta we ever eat, and we don't miss regular pasta at all. But using it in a cake recipe?? I almost passed it by thinking it might taste the same as the recipes using quinoa flour. If you love chocolate cake, and are looking for a gluten-free version that you can make yourself from scratch, try this! Look how moist it is! This recipe for Quinoa Chocolate Cake will surprise you. It is incredibly good. I might not have boasted so loudly in my title about it being the best recipe ever, except I didn't invent it. So I'm giving the accolades to someone else. I saw a few versions of it online without any credit given, but I finally found the original recipe and the cook, Patricia Green, who came up with this fabulous crazy concoction. I did change the recipe to fit our liking of less sugar and less saturated fat, but here is the original recipe, along with my revisions. These are so good, Sweet Daughter called me just to ask again.. no flour of any kind? No dear, no flour of any kind. It really is cooked quinoa chocolate cake. Don't tell those ingredients to any fussy eaters. That might not try it. Tell them after they eat the cupcake. I love to cook and I always adjust recipes to take out as much sugar and saturated fat as I can while still keeping the quality high. This one was really easy to make some simple changes that did not change the taste at all. Almost all of the ingredients can be found as organic and many times the price is not that much more. The quinoa is at either Costco or BJ's (forgot which one) and is a bargain! The cupcakes freeze really well! Just take one or two out at a time so you aren't tempted to eat them all at once. This cake is so moist! and has an excellent chocolate flavor. I am always looking for ways to keep the taste of good recipes while reducing the fat, sugar and salt. For my version see the ingredients in RED for the changes I made for a little healthier version and it tasted just as good! Bring the quinoa and water to a boil in a medium saucepan. Cover, reduce to a simmer and cook for 10 minutes. Turn off the heat and leave the covered saucepan on the burner for another 10 minutes. Fluff with a fork and allow the quinoa to cool or you can put it in the fridge for while doing the rest. Preheat the oven to 350°F. Lightly grease two 8-inch round or square cake pans. Line the bttom of the pans with parchment paper, or cupcake liners. In a blender or food processor, combine the milk, eggs, vanilla, and melted butter and then add the cooked quinoa, blend until smooth. 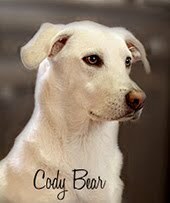 Whisk together the sugar, cocoa, baking powder, baking soda and salt in a medium bowl. Add the contents of the blender to your dry ingredients and mix well. Divide the batter evenly between the 2 pans, or fill your cupcake holders, and bake on the center oven rack. Frost if desired. Store in a sealed container in the refrigerator for up to 1 week or freeze for up to 1 month. Serves 8-16. Or makes 12 Cupcakes which cook for 35 to 40 min. I didn't add a recipe at first for my frosting because I am really a mad scientist in the kitchen. That means I constantly change things and/or it means I often to forget to write down an experiment recipe and of course am sure I will remember it next time. Unsweetened Cocoa Powder, Cream Cheese, Yogurt Butter, Spectrum Vegetable Shortening, Honey or Maple Syrup, Date Paste, Sour Cream and a dash of Milk or Chocolate Almond Milk as needed. Sometimes I add 3-4 TB Organic Powdered Sugar. That's not too much sugar for at least 12 cupcakes. Mashed Avocados are a great sub for the fat as well. I used them frequently for making chocolate fudge mousse. Date paste is so simple to make. Soak 1 to 2 cups of pitted dates in hot water for a few minutes, then put them in the blender or food processor. Very nice sweetener. There is simple recipe where you leave a can of coconut milk sitting opened until it thickens and add cocoa to it and sweeten as you like. I do not like coconut so I haven't tried it. But it gets rave reviews. that need for a cupcake without eating too badly. do you have the frosting recipe? Thanks for stopping by. This cake is so good you won't believe it until you eat it! I added some ideas for frosting - icing at the end of the post.